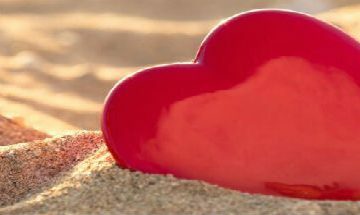 Be covered properly for your next holiday when you have cardiomyopathy. 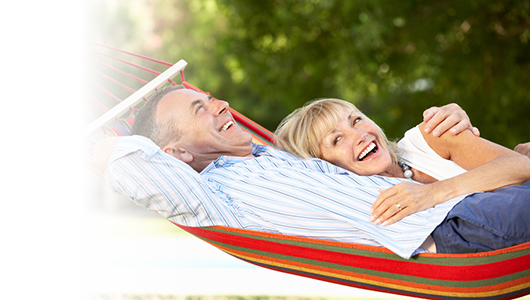 Find out more about our travel insurance options below. When you’re ready, get your quote online or give us a call today. Looking for the right travel insurance when you have cardiomyopathy can seem daunting. But it really needn’t be. With the right policy, you can have peace of mind that if the worst happens when you’re away, you’ll be in the best hands. Why do I need travel insurance for cardiomyopathy? When travelling with cardiomyopathy, it’s sensible to be covered with the right policy. Just in case something does go wrong when you’re meant to be enjoying your holiday. It might be a stolen passport, delay to your journey, or a medical emergency. We can give you the reassurance that you have the help there if you need it. Cardiomyopathy is a progressive muscle disease of the heart, which makes it all the more important that you have proper cover when you’re off on your travels. Having that peace of mind so you can relax on your vacation is priceless, surely? How do I declare cardiomyopathy on my insurance? To help us provide cover for your cardiomyopathy, you’ll need your doctor to declare that you’re medically fit to travel. We’ll then ask you to complete our medical screening process. The process can be done online today, or over the phone if you’d prefer. A member of our helpful team will be happy to help you. Make sure all information you provide concerning your medical history is up-to-date and accurate. If you forget to disclose information related to your condition, this will affect your ability to claim in the event of a medical emergency further down the line. With a condition like cardiomyopathy, its level of severity can vary drastically from person-to-person. It is vital that you get the go-ahead from your doctor that you are fit to travel and participate in any activities you plan on doing while you’re away. Without this confirmation, we are unable to offer you cover for your medical condition. What questions will be asked during the medical screening? Do you have any further investigation or treatment procedures planned? Have you ever had an abnormal heart rhythm? Do I need to take an EHIC (European Health Insurance Card) with me on my travels? If your trip is to a country within the EU, Switzerland, Iceland, Norway or Liechtenstein, then yes. In fact, it’s a condition of our insurance that you take your EHIC with you when travelling to these countries. An EHIC will entitle you to subsidised or free treatment, depending on the country’s healthcare policy. But while an EHIC is useful, the NHS advises that you get proper travel cover too. An EHIC is not a travel insurance policy. It doesn’t cover your flight home if missed due to medical circumstances, nor does it cover lost belongings or delays. All of which are covered by the right travel insurance. So, while an EHIC is essential to get cover with us, it doesn’t serve as an alternative to good travel insurance. Can I fly with cardiomyopathy? Most people living with cardiomyopathy can travel by plane with no problems, depending on how their condition affects them. To reassure you, you may want to notify the airline you’re travelling with in advance about your condition. The airline is responsible for you during your flight and can help you plan your journey and arrangements. Refer to cardiomyopathy.org for more information about flying with the condition. I am awaiting further treatment for my cardiomyopathy, can I still be covered? If you are awaiting further treatment for your condition, we can still cover you for travel delays, lost luggage and other problems that may arise during your holiday. If you are not fit to travel or have received a terminal prognosis, we would suggest contacting the British Insurance Brokers Association (BIBA) to assist you in finding appropriate cover.